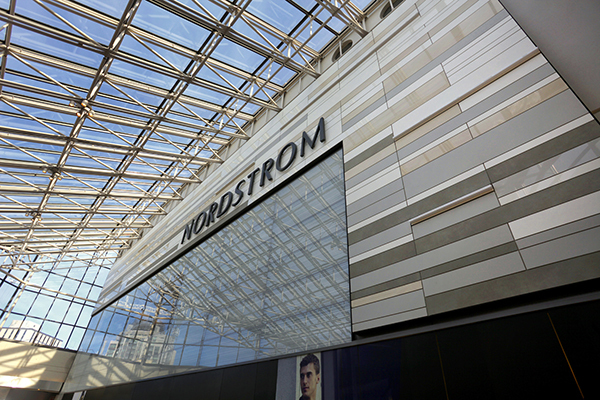 Architects and technicians defy compromise to transform outdated Ottawa department store into a sophisticated Nordstrom retail location. Elegant. Light. Warm. 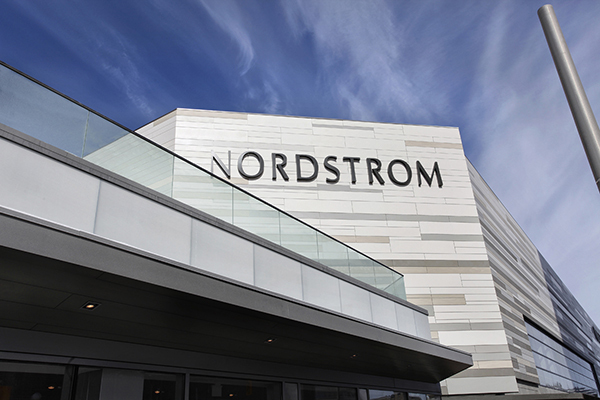 When thinking of the Nordstrom brand, very specific descriptors emerge that evoke the chic, high-end style of the upscale retailer. 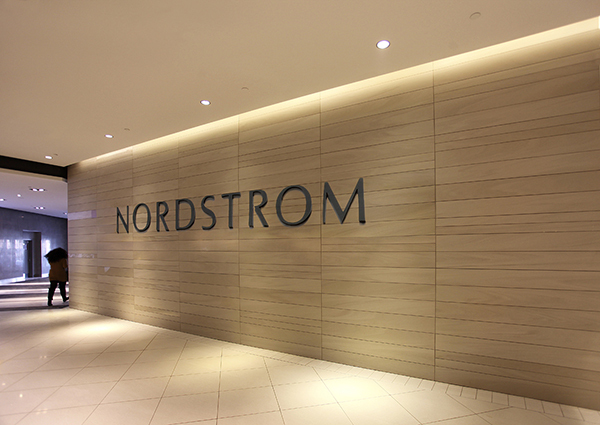 Following a 2012 announcement that the former Sears location at Ottawa’s Rideau Centre would be reinvented as Nordstrom, a great deal of care was taken to select architects, technicians and consultants that understood the brand, the vision and the goal. 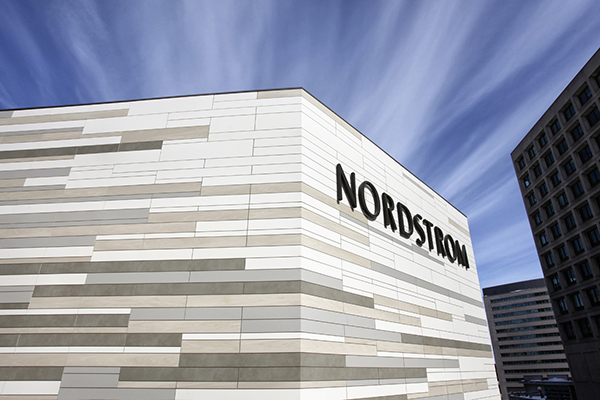 As the number one retail design firm in the world, designing more than 150 new and remodeled Nordstrom stores in North America, Seattle-based architecture firm Callison was selected for the project in this high-traffic location in the heart of Canada’s capital. Callison began planning, digging deep into the design process and creating what would be an epic, dramatic revamp of 14,000 square feet of dreary, worn exterior and interior storefronts. The completed elevations were sleek and specific, designed with flat panels in a bright, gleaming white with subtle polished accents that would never stain, fade or discolor. 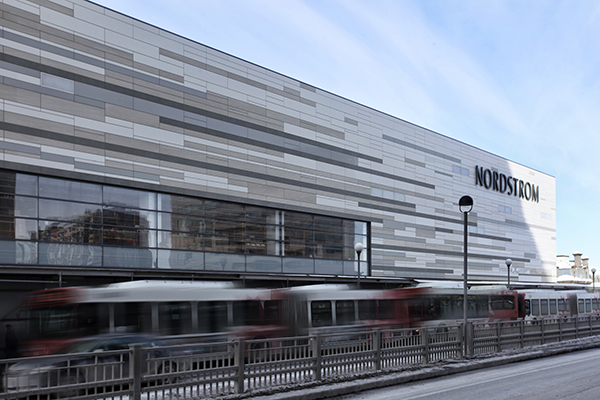 The exterior façade would need to overcome the often harsh weather conditions in Ottawa, where temperatures of -20 degrees Celsius are more normal than even locals would like to admit. An installation system that held panels firmly in place without grout lines was another necessity to carry out the team’s full vision. Callison realized this was a tall order. With several key “must-haves” for the project, Callison began looking into potential solutions that would not sacrifice the design details that were so important to the overall aesthetic. After looking at a variety of surfacing materials, Callison was drawn to Neolith by TheSize, a Sintered Compact Surfacing product already used frequently in Europe for commercial facades. The product had a reputation for being incredibly durable and resistant to scratching, fading, staining and extreme temperatures. After meeting with Travis Conrad, architectural consultant for Neolith, Callison’s team was feeling confident for the first time that their vision might become reality. Neolith’s unique manufacturing process, which uses high pressure and high temperature to create a compact, nonporous surface, enables the product to withstand harsh conditions and emerge unscathed. A key concern for this project related to weather, as many compact materials are unable to withstand the coefficient of linear expansion in Ottawa, or the extreme fluctuations in temperature. Neolith’s design, in tandem with a unique mechanical installation system, provided a secure way to fasten panels without fear of cracking or splintering. Neolith and the accompanying installation system also provided several design benefits to the project. The exterior storefront has several sharp angles and edges, as result of the façade being raised away from the main structure. Using Neolith, a chamfer miter is possible, allowing for seamless L-shaped pieces for cladding the outside corners. This simplifies installation, improves overall aesthetic and avoids the use of unsightly vertical lines where sealing caulk often gets dirty and discolored. This project utilized both 90- and 136-degree miters, giving the building an effortlessly seamless appearance. Aside from a clean, smooth look, the architects were also looking for specific colors. To contrast with the concrete and stone buildings surrounding the area, the façade was to be mostly bright white in matte and polished finishes with tan and grey accents. The team selected the pure Arctic White color in a Satin finish as the base and accented that with scattered panels of Barro, Perla and Arena in Satin and Polished finishes to round out the color scheme. Neolith’s portfolio of nearly 50 colors and four finishes gave the team a vast amount of aesthetic freedom to get the design just right.